Tammy Martin (NDP MLA for Cape Breton Centre and CUPE 8920 member), Lisa Blackburn (Councillor for District 14 in HRM), and Sue Leblanc (NDP MLA for Dartmouth North and CUPE 3912 member) held a panel discussion on the importance of voting and getting involved in politics. Watch video of their discussion here. “In this day and age, I think we can sum it up in two words: Donald Trump,” said Blackburn. 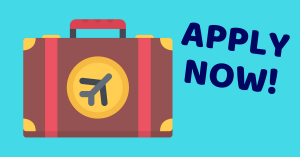 Martin and Leblanc talked about how the NDP came two seats shy of controlling the balance of power after the 2017 provincial election – which reinforces the importance of every vote in every seat. “We were two seats away from taking the majority away from this Liberal government and taking away their ability to legislate collective agreements to Nova Scotians,” said Martin. NDP leader Jagmeet Singh paid a visit to convention on Monday, giving delegates a rousing speech about fighting inequality with love and courage. 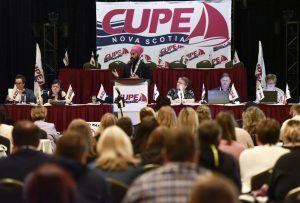 Singh called on CUPE activists to step up their fight against inequality and spoke about the importance of universal social programs and lift everyone up, like universal Pharmacare and dental care. Watch video of Jagmeet’s speech here. 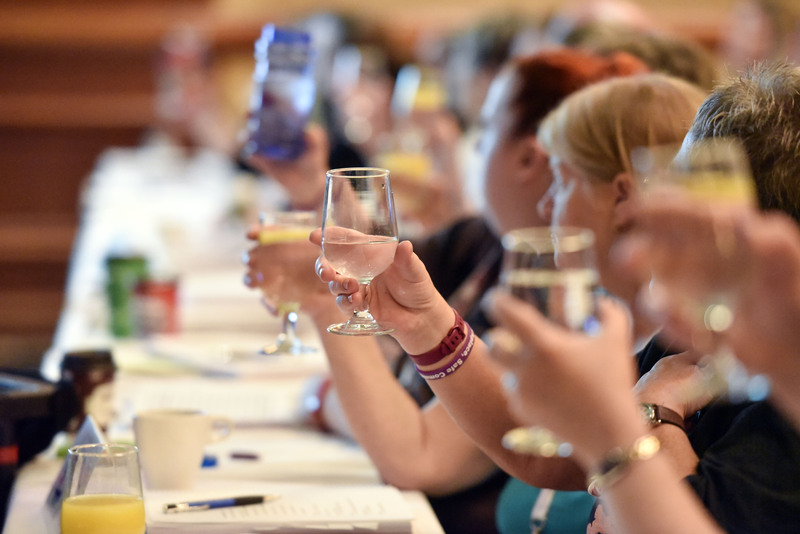 Delegates toasted to public water as a human right, affirming CUPE’s commitment to public water over bottled water. CUPE NS President Nan McFadgen delivered her annual report to convention. She highlighted the work she has done as Nova Scotia’s regional representative on CUPE’s National Executive Board and gave an update on goings-on in the labour movement at the regional and national level. 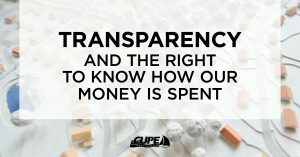 She spoke about the incredibly powerful rally against Bill 148 that was attended by CUPE members, National President Mark Hancock, and labour activists from across the province. 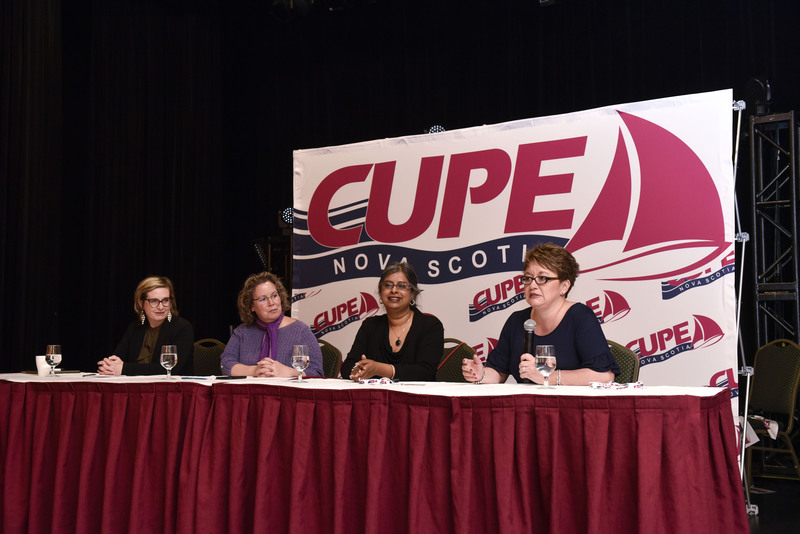 Nan also gave an update on the challenges and successes facing CUPE members across Nova Scotia. 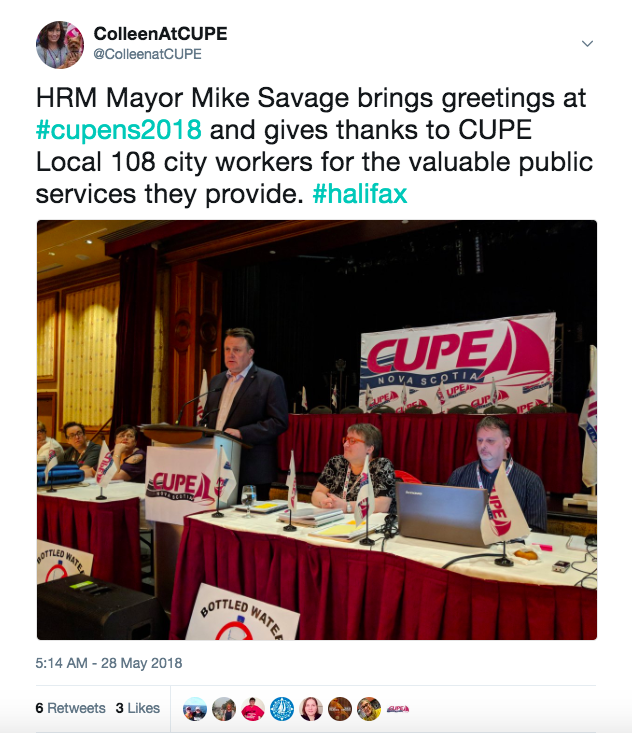 Mike Savage, the mayor of Halifax Regional Municipality, opened today with greetings, and talked about how the city is doing more to broaden access to public services for everyone. He saluted the CUPE municipal workers in Local 108 for the public services they provide to keep Halifax running. Did you know we have 1000s of photos on Flickr? Every event, conference, rally, protest we try our best to take photos and share our history. 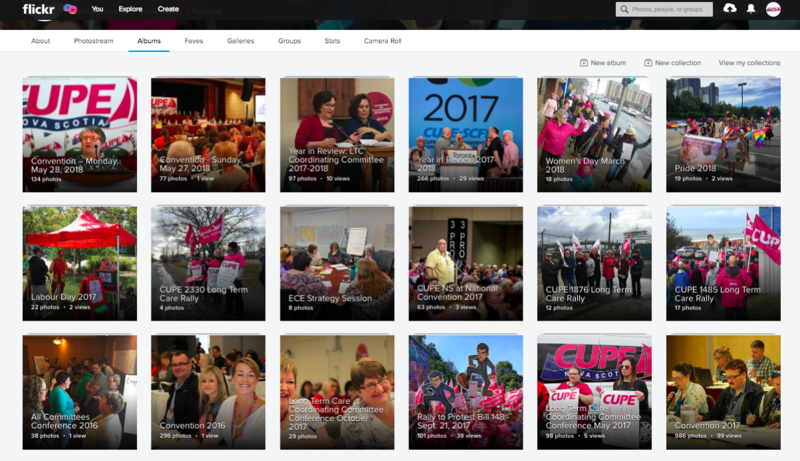 Thousands of photos are available in the CUPE Nova Scotia Gallery. 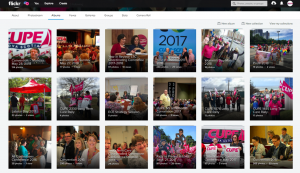 CUPE NS members and locals are welcome to download copies of these photos to use in your member communications including newsletters, websites, social media and posters. 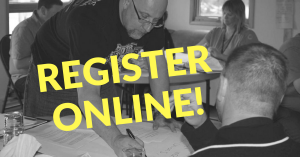 CALM membership – Special offer for CUPE NS locals!